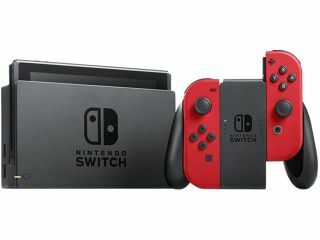 The Nintendo Switch, this Christmas's most sought-after present, has been hacked, paving the way for installations of unofficial "homebrew" software – and potentially even pirated games. A recent hacking conference in Germany saw a team of tinkerers take advantage of a quirk of the console's off-the-shelf Nvidia Tegra chip, allowing them to use a feature that Nvidia's own engineers and developers use to access deep-level functions of the chipset not usually accessible to the public. While the video explaining the specifics of the hack has now been removed, should you be interested in exploring the hack in the future it appears that you'll need to make sure your console stays at Switch firmware version 3.0. That means keeping your console offline to avoid newer system updates, and picking up a physical copy of Pokken Tournament DX, which comes with firmware version 3.0 onboard. Should the hackers then release their homebrew launcher, it should work. There are inherent dangers in attempting such a hack however. Firstly, and most obviously, it voids your warranty, leaving you without Nintendo's support should your console fail. Also, installing software not sanctioned by Nintendo loses the quality assurance that the company offers, potentially leading to a sub-par experience, and perhaps even locking you out of later Nintendo releases that require newer firmware. That's before considering the damage piracy does to the gaming industry and the people that work in it – a path that is often walked from the first steps of honest homebrew tinkering to more nefarious piratical ends. Nintendo has long struggled with the homebrew community and pirates, with its Wii and Nintendo DS consoles particularly susceptible to hacking and piratical activities. Don't be suprised if the Switch's security is stepped up in the coming weeks. See our video review of the Nintendo Switch below.